1. 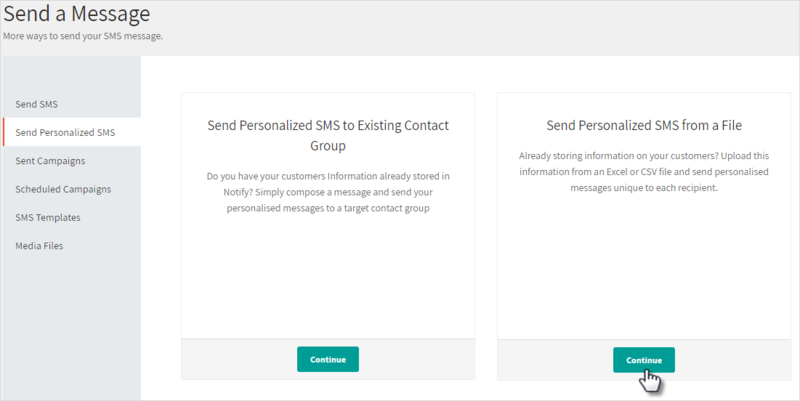 Click Send Personalized SMS on the right hand side of your page. 2. Click Continue under Send Personalized messages from a file. 3. Click Choose file to upload the file containing your contact details from your computer. 5. 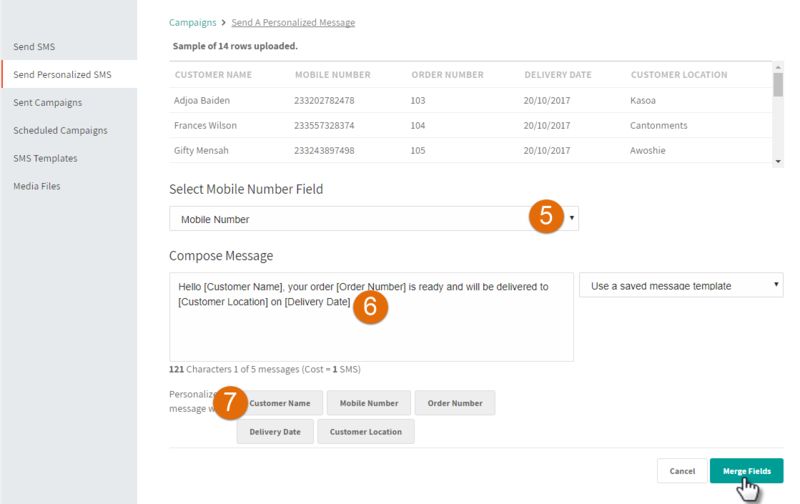 Select the name you gave to the row containing the contact numbers of your contacts from the drop down list. 6. Type the message you want to send in the message box. 7. You will find the row headers in your spreadsheet in square brackets beneath the message textbox. We call these placeholders. Click to insert these placeholders in your message. 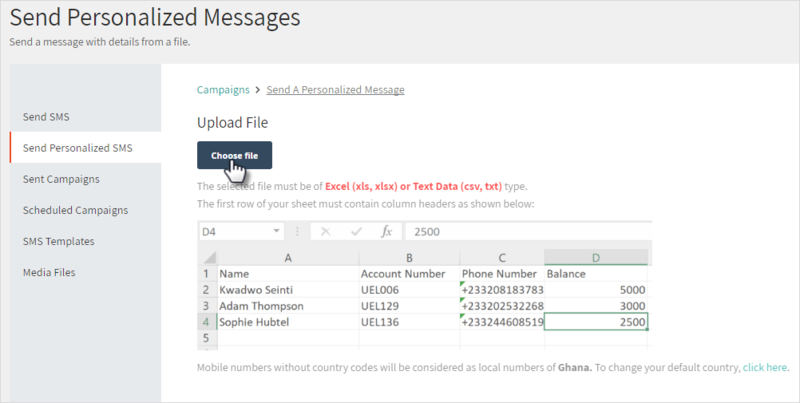 The actual details in your spreadsheet will be retrieved and inserted into the message for each recipient. 8. Click Merge fields to merge the details in your file with your message. 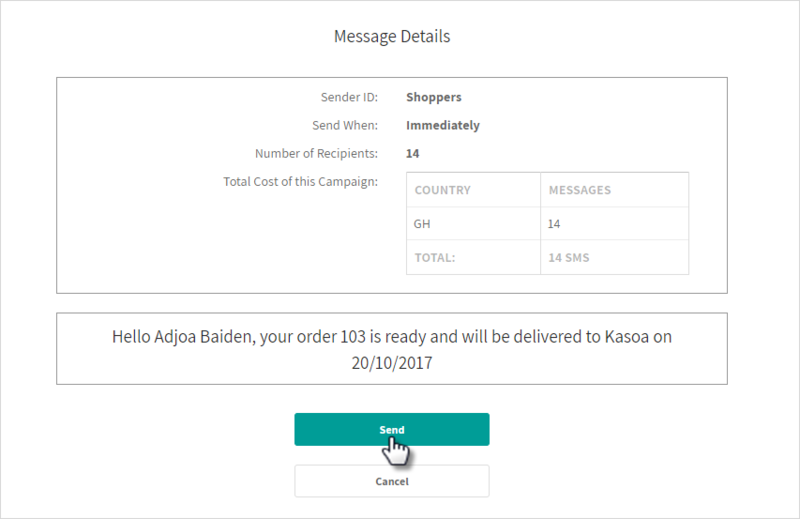 You can check the message preview at the top of your page to ensure the contact details are merged with the message as desired. 9. Enter a name for your campaign. Your recipients will not see this name. 11. Check to make sure the details of your message are correct and click Send to send your message.